Tell me if this sounds vaguely familiar… You walk into your favorite Yorba Linda barbershop, give some general description of what you’d like, and then a few minutes in you realize that whatever your barber is doing, it’s not what you had in mind. Your haircut is nothing close to what you pictured. Your haircut is ruined! Who’s to blame? Is it you or the barber? 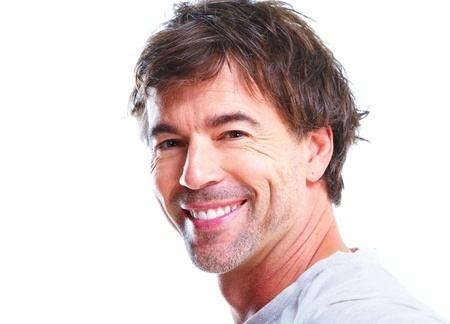 If you want to avoid a bad hair day, you could try visiting every barber shop on Yorba Linda Blvd looking for the best barber in Yorba Linda. However, while a a disappointing haircut can be the result of poor barbering, if you want to know how to get the haircut you want every time, consider learning the following truths. Though barbers know so much about hair, they can’t read minds. They need to hear it in the right order, and if you don’t know the vocabulary, it’s nearly impossible to get the cut you want. Phrases like “Take a little off”, or saying “whatever suits me” aren’t very helpful. How much is little? And how is he going to know the haircut that suits you? What you’re simply asking is a shorter version of the one you walked in with. Although giving the barber an instruction manual is a pretty good idea, in reality, the first thing he wants to hear is your end goal. The words you use in expressing a preference can make a great difference on your ultimate hair goal. Just be specific about how you want your hair to look and the barber will get you there. Note: Regardless of how barbers dislike being given many directions, don’t just wait for him to finish your entire haircut before you check it out. Our barber, Brendan, tells his clients that a picture is your best friend. Especially if you aren’t sure what you want. Brendan says that pictures always help him to visualize what his clients looking for in a haircut. Additionally, he says, he absolutely loves when clients bring a photo that was taken after a haircut his clients really liked. Of course, you could bring in a picture of your favorite a celebrity, but it might not take into account your hair’s individual traits, such as texture, thickness, and hairline. How to Get the Haircut You Want… When Was Your Last Haircut? Did you know professional barbers can tell how long it takes for hair to grow? Well they do! If you tell your barber how long it’s been since your last haircut, he can know roughly how much to take off. Picking the right barber can be a daunting task, but it can be the difference between walking out of the shop disappointed and feeling happy. If you move to a new town, the simplest way to find a good barber is to look at people’s hair and ask them where they get that cut. Don’t feel embarrassed stopping them! 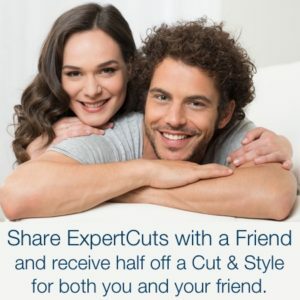 ExpertCuts is a full service salon that offers barbering as well as hair styling. So don’t be surprised when our name comes up. 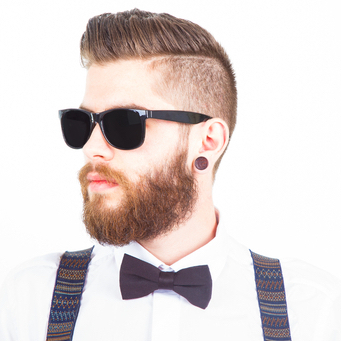 To give the barber a clear idea of where to end up with your haircut, focus on your ears. Yes, it’s simply that. Finally, if you’re loyal to one barber (Brendan! ), always feel free to say what you really liked or didn’t like on your last visit. Brendan’s a big boy, he can take it. Besides you’re paying for it, so we want you to get the haircut you want every time you come in. Also, it is always best that you give feedback every time you leave the shop. Whether you come into ExpertCuts or find yourself at some other barber shop on Yorba Linda Blvd, follow these tips on how to get the haircut you want to help the guy or gal standing behind the chair serve you better.